The Great Lakes State sits along the northern border of the United States with Canada. Surrounded by the lakes from which it takes its name, it is not surprising Michigan has adopted the Eastern White Pine to represent the state. Native to regions in Canada, the Great Lakes, and the Appalachia, the Eastern White Pine is a large conifer, sometimes reaching heights well over 200 feet. 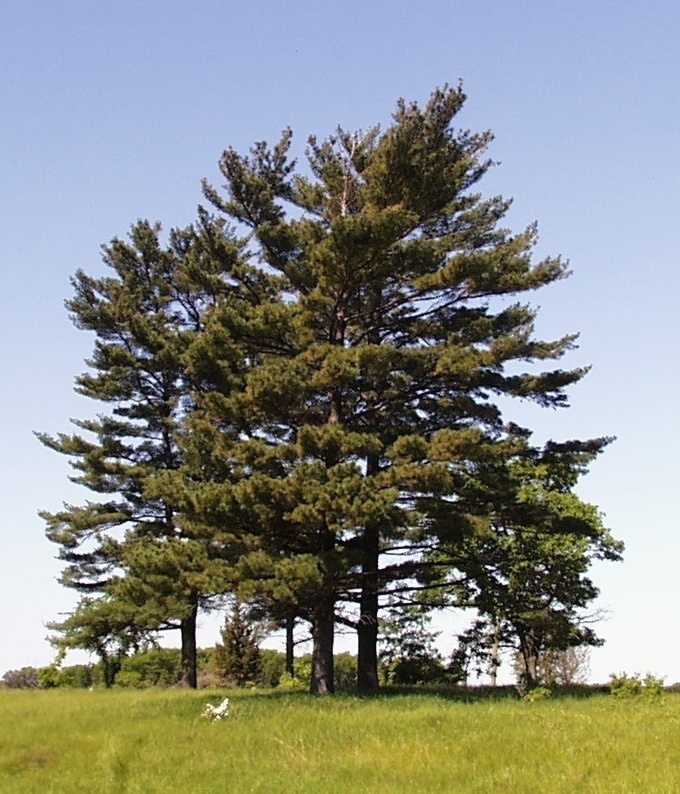 Eastern White Pines are frequently aged at 250 years, but can easily live to well over 400. #3. 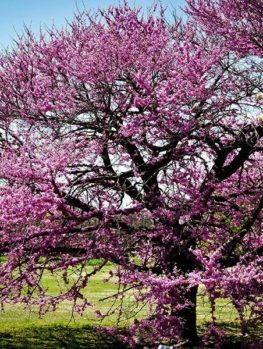 Eastern Redbud – Ideal for providing fast-growing shade, year-round beauty, and adaptable qualities. As property in Michigan continues to be developed, land owners are searching for trees that will provide privacy from prying neighborly eyes and loud, unwanted noise. 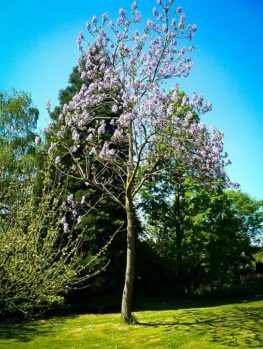 There are many fast growing privacy trees in Michgian, which will quickly grow after initial planting to offer your property and family long sought-after privacy. The Thuja Green Giant, a staple of privacy trees throughout Michgian, is a fast-growing pine that will quickly provide a barrier between you and your neighbors. Growing between 3-5 feet a year, the Thuja Green Giant will offer your yard classic French design with minimal hassle. 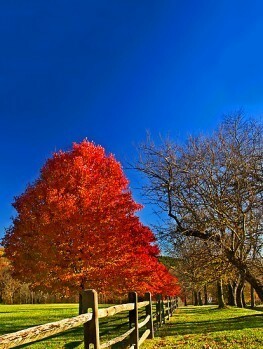 Alternatively, the Leyland Cypress and American Holly will also add color and privacy to your yard’s perimeter. Michigan has two peninsulas: the Lower Peninsula and the Upper Peninsula. The Lower Peninsula is has typically milder seasons, with hot summers and cold winters. The northern portion of the Lower Peninsula and the Upper Peninsula have more extreme weather, typified by heave snow, freezing temperatures, and shorter summers. These cold winters often linger below zero for days, with the record set at -51°F. Although the summers are usually in the mid-80s, temperatures in the southern regions of the Lower Peninsula can get quite hot, with the record high set at 112°F in 1936. 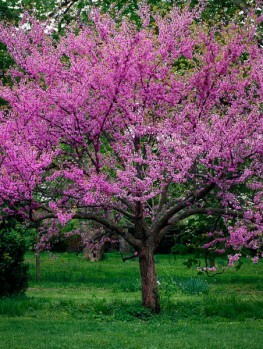 Most trees require well-drained soil rich with minerals to grow. 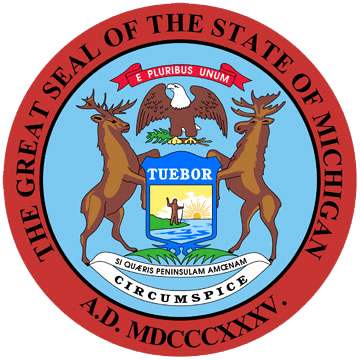 Michigan is characterized by Kalkaska soil, first described in 1927. The soil covers over 750,000 acres of Michigan land, and is sandy in nature, best used for growing timber, potatoes, and strawberries. Regardless of the property’s location in The Great Lakes State, a soon-to-be tree planter can perform a simple test to determine his/her soil type. Michigan only receives about 35 inches of rainfall annually on average, though this is usually plenty for the crops and livestock raised in the area. What Michigan receives in annual rainfall is by far outdone in snowfall, with the state receiving, on average, 160 inches of snow a year. Snow falls for a longer time and with a greater quantity in the northern regions of the Upper Peninsula, though areas in the southernmost regions of the Lower Peninsula will receive plenty as well. Michigan averages approximately 30 thunderstorms a year, slightly below the national average. Michigan receives sporadic rainfall, with most of the state’s annual 35 inches falling in the spring and summer. Irrigation can be an effective way to ensure adequate water is available to trees and plants all year long. Installing a simple sprinkler or drip irrigation system can mean the difference to a newly planted tree, which will require consistent and controlled access to water to ensure successful rooting and growth. 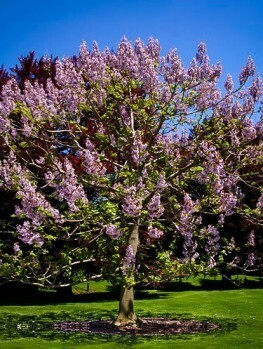 Certain varieties of trees will also fare better with a reliable watering system. Michigan’s unique geography deeply impact the variety of growing zones in the state. A growing zone simply refers to the USDA’s determination of areas where certain plants are most likely to thrive, preferring to focus on minimal temperature ranges in which a plant can survive. Michigan has eight distinct growing zones, some of which cover only a few acres of land in the state. The growing zones move in bands inland, with the coldest temperatures at the center of each peninsula. On the Lower Peninsula, temperatures can drop as low as -35°F in the north central areas of the peninsula, near Gaylord. On the outskirts of the Lower Peninsula, both northwards toward the coast and southwards toward Indiana and Ohio, temperatures will only drop to -10°F in places; although, most of the region experiences temperatures down as low as -15° to -20°F in zones 5b and 5a. The Upper Peninsula is similarly banded, though the coldest region is southwest of the Ottawa National Forest, where temperatures can drop as low as -40°F. 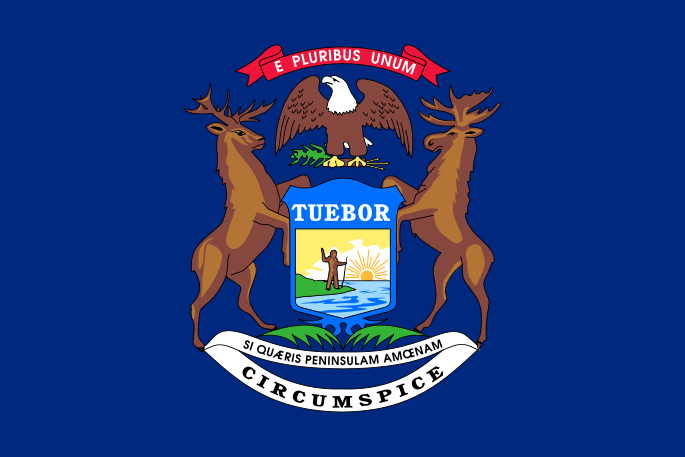 Michigan does receive severe weather, such as thunderstorms, heavy snowfall, and tornadoes. Heavy snow affects most of the state, with the lake-effect causing most snow to fall in regions surrounding the Great Lakes. Although the number of thunderstorms is below the national average, they can be quite severe in the south, often accompanied by flash floods. The southern parts of the state also see severe tornadoes. In some regions of the south, tornadoes are frequent. Planting trees near powerlines or buildings can increase the risk, so be sure to plant them far away. Trees can also assist in protection from erosion, so if flooding is a risk, plant trees with strong roots on banks of rivers or streams. 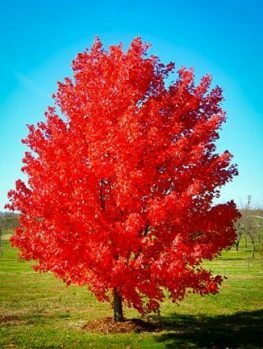 If you prefer to purchase your trees or shrubs in person instead of online, we offer this comprehensive guide to purchasing a tree at your local Michigan nursery or garden center. However, since we don’t actually live in Michigan we can’t guarantee this list to be 100% accurate – but we did attempt to be as accurate as we possibly could. We have no affiliation with any of the businesses listed below and make no guarantees as to the businesses’ ability or the quality of trees you will receive. As with any purchase you make, be sure to check out the business with the Better Business Bureau, references, and any other sources you may have.